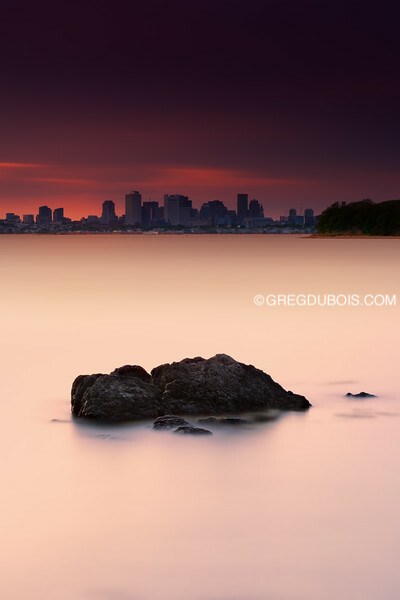 Boston skyline as seen from Squaw Rock in Quincy on the South Shore. Three minute exposure with LEE Filters Big Stopper and Very-Hard Edge 1.2 GND. The new Very-Hard blend line allows precise positioning with telephoto focal lengths.